It was pleasant and comfortable I was pleased with my experience there. I loved our room on the first floor. The room looked renovated. The bathroom and shower looked new and clean. But the toilet had a bit of stain on the seat and seat cover. Other than that, I enjoyed staying at Hyatt during my get away with my husband. And I will definitely come back soon. Where to find Calistoga hotels near an airport? 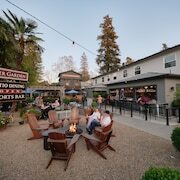 Where can I find hotels in Calistoga that are near tourist attractions? 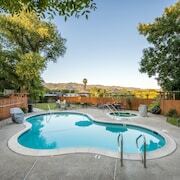 If you are trying to decide where to stay in or near Calistoga, you will find a wide assortment of suitable options to choose from. If you are after accommodation within 0.1 kilometres (0.06 miles) of the heart of Calistoga, Expedia's comprehensive database contains at least 29 accommodation options that match that criteria. One of the secrets of hassle-free travel is location, so be sure to have a look at the Cottage Grove Inn and Mount View Hotel & Spa, which you'll find a short distance of Calistoga's center. Here at Expedia, we know that all travelers have varying budgets. So if you're searching for a hotel or appartment at the cheaper end of the scale, the Calistoga area has some nice options to choose from. 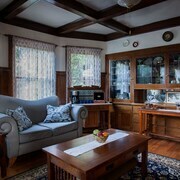 0.4 kilometres (0.2 miles) away from Calistoga's center is where you'll find the Brannan Cottage Inn. The The Sunburst Calistoga is only 0.9 kilometres (0.6 miles) away. 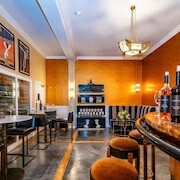 Alternative budget room options include the Calistoga Wine Way Inn and the Chelsea Garden Inn. You could check out the Auberge Du Soleil as well as the Bardessono. The Auberge Du Soleil is positioned 18 kilometres (11 miles) away from the middle of Calistoga. The Bardessono, is 25 kilometres (17 miles) away. The Solage Calistoga and also the Kenwood Inn and Spa are other alternative Expedia-listed accommodation options in Calistoga. Looking for more things to do? Why not spend some time visiting Artesa Winery and Napa Valley Wine Train, which you'll find in Napa, 40 kilometres (25 miles) to the southeast of Calistoga. Should you wish to spend a night or two in Napa, check out the Milliken Creek Inn & Spa and Andaz Napa - a concept by Hyatt. Or, you could consider staying in St. Helena, 13 kilometres (8 miles) to the southeast of Calistoga, where you'll find the Harvest Inn by Charlie Palmer and Wine Country Inn. While in St. Helena, be sure to check out the Rubicon Estate and Flora Springs Winery. Located 20 kilometres (13 miles) away from Calistoga is Sonoma County Airport. Stay nearby at Hampton Inn & Suites Windsor - Sonoma Wine Country or Hilton Garden Inn Sonoma County Airport. 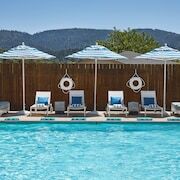 What are the most popular Calistoga hotels? 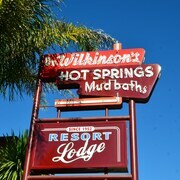 Are there hotels in other cities near Calistoga? 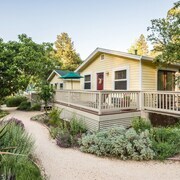 What other types of accommodations are available in Calistoga? Explore Calistoga with Expedia.ca’s Travel Guides to find the best flights, cars, holiday packages and more!